The “brainchild” of former top South African race horse trainer, Ricky Maingard, Capstone Horse Feeds is a brand of horse feed that was launched in South Africa in 2004. 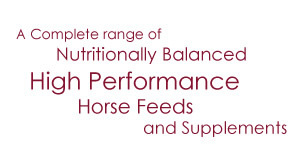 The range of feeds offers superior equine nutrition. The range utilises micronized cereal grains which involves an “infrared cooking” process aimed at greatly improving and enhancing the nutritional value of certain cereal grains by increasing digestibility and performance. Capstone Horse Feeds are formulated by expert nutritionists Kentucky Equine Research (“KER”) who are based in Kentucky, USA and Australasia. KER is the most prominent Equine Nutrition Organisation in the world. Capstone Horse Feeds has formed a synergistic alliance with KER and it is a partnership unique to South Africa. 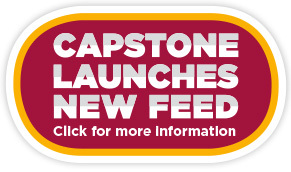 Capstone Horse Feeds is manufactured by Straight A’s, in a dedicated horse feed mill, fully owned in partnership by Capstone 335 (Pty) Ltd and Afresh Vention (Pty) Ltd, and is distributed by Afresh Brands and a dealer network throughout South Africa. Straight A’s also own a steam charffing, cleaning, micronizing, automated mixing and bagging factory. Scientifically balanced high performance nutritional feeds. Proven formulations by international Equine Nutrition Specialist. Extensive product range of highest quality products. All products endorsed by Kentucky Equine Research. Manufactured in a dedicated horse feed mill. Contains micronized cereal grains as fully digestible starch energy source.